Staff photo by Allison Potter Parking changes approved by the Wrightsville Beach board of aldermen include adding pay stations to Wrightsville Beach Park. Two free hours will be allowed. I write this out frustration with the angst that is put forward time and again in social media and news reporting concerning Wrightsville Beach. The current issue of contention is the parking availability and fees on Wrightsville Beach. My purpose here is balance to the picture by providing the reasons that go wholly overlooked or even blatantly ignored in the reporting and commentary. As a property owner and resident, I detest being referred to or characterized as greedy, selfish, and uncaring. Parking fees help to cover a portion of the costs associated with providing for visitor demands of our beach town. During the tourist season, Wrightsville Beach hosts tens of thousands of visitors, as day visitors and renters can number between 20,000 – 40,000. Year-round residency varies around 2,500. The town infrastructure to support such a population explosion is a major challenge both operationally and financially. Both residents and visitors expect, safety, cleanliness, services and a sandy beach. The capacity to provide this comes at an immense cost. Cost drivers include beach trash and recycle collection, public safety through beach safety patrols that include police and the park ranger, restroom maintenance and cleaning up to six times a day in season, contribution to the sand renourishment fund, and requisite parking and traffic management for approximately five miles of beach hosting tens of thousands of visitors. The infrastructure to handle peak capacity demands for water, sewer, roadway and services staff — including police, fire, sanitation and public works — are far in excess of the needs of only 2,500 year-round residents. Our sand renourishment program has been on a four-year cycle and is now on an accelerated track as Hurricane Florence has recently stripped the beach of the sand from the previous renourishment cycle. Renourishment costs most recently were just under $10 million and seem to grow by 10 percent each cycle. The town’s cost share is 17.5 percent, creating a minimum cost of $1.75 million to the town. The sentiment of the board of aldermen has been to anticipate and address the needs of our tourist destination community. The town has systematically been upgrading beach access and services, including past and planned restroom capacity and improvements. The plan for significant parking, traffic flow reconfiguration and additional parking spaces is headed towards approval and funding for Salisbury Street at Johnnie Mercers Pier. Longer term, discussions for additional parking lots and restrooms have been ongoing. 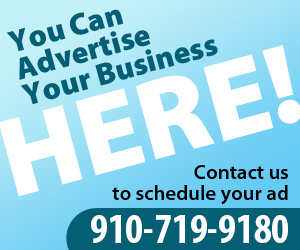 All projects require funding, usually in the form of a combination of state, federal and local funding sources. The town has also systematically been reviewing and implementing additional parking spaces and parking management approaches. However, the reality is there is only so much space in our town. There is no new land being created. The Town, the beach, the Loop, and the waterways are highly desirable venues for many public events. Events often require closure of roadways and traffic flow management on weekends, representing another accommodation for our thousands of visitors. It is important to always align revenue with costs. That is the full story that needs told. In the case of Wrightsville Beach, the parking revenue simply does not fully cover the annual operating and longer-term investments in assets for providing a safe, clean, sandy beach for tens of thousands of people. We currently have 1813 parking spaces throughout the town. I fail to see why property owners should be expected to solely shoulder these cost for visitors. We already shoulder many of the costs to provide a high capacity infrastructure. The residents don’t need the size of our police force or sanitation crew or capacity to peak water and sewage demand to provide for the 2,500 of us. Nor do we crowd the beach bars, requiring extensive police coverage. 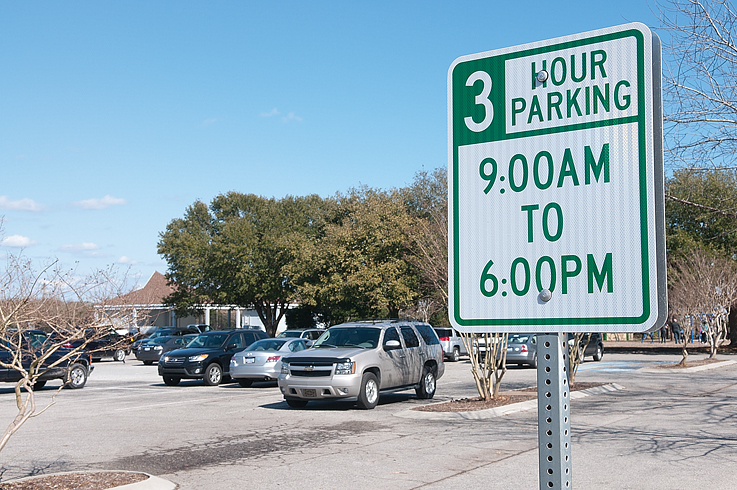 Wrightsville Beach is not the only town that uses parking costs to help cover its expenses. Carolina Beach charges $2.50 an hour for parking. And in Sanibel Island, Fla., parking is $5 an hour. Given these facts, I strongly suggest that people bring their ideas for solutions to the monthly Wrightsville Beach Board of Aldermen meeting, which I attend regularly. Bring your facts, bring your ideas, bring your arguments, but don’t waste time simply complaining through the fog and veil of social media or news report comments. Be better than that, invest your time in helping to make some positive change. The beach is for everyone, but one fact remains certain, there is no such thing as a free lunch. It’s only 19 weeks until Memorial Day weekend — the kickoff to summer – and the town will be ready to provide a high-quality experience for visitor, primarily because of the funding generated by parking. I, along with our residents, hope you will be among the tens of thousands of visitors, because we know you will have a safe, fun, enjoyable experience.